An eclectic mix of Canadian artists, both veterans and newcomers, figure prominently in the 2011 Grammy Awards, with indie darlings Arcade Fire, pop sensation Justin Bieber and music icon Neil Young among those set for the musical honour's spotlight. Arcade Fire is a major nominee at Sunday evening's gala in Los Angeles, with the Montreal troupe's Suburbs vying for album of the year. The band faces stiff competition from rapper Eminem, outrageous chart-topper Lady Gaga, country group Lady Antebellum and pop singer Katy Perry. 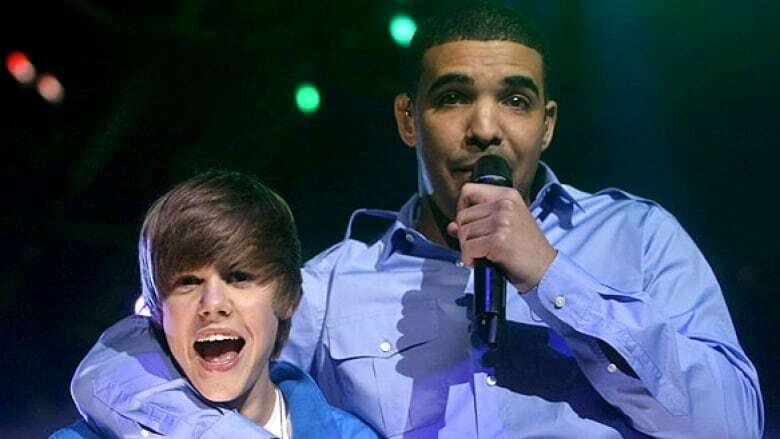 Stratford, Ont., teen sensation Justin Bieber and Toronto rapper Drake will face off for best new artist. Their rivals for the honour include Florence and the Machine, Mumford & Sons and Esperenza Spalding. Bieber's My World 2.0 is also in contention for best pop vocal album, while Drake has four nominations in total, including best rap album for his debut release Thank Me Later. Neil Young won his first-ever Grammy trophies last year, when the U.S. Academy of Recording Arts and Sciences honoured him as the MusiCares person of the year and he won for best boxed or special limited edition package for his elaborately designed album The Archives, Vol. 1 1963-1972. This time around, he has three nods: Le Noise is vying for best rock album, while his track Angry World is competing both for best rock song and best rock vocal performance. P.O.V. :Which nominee gets your vote for album of the year? Thought they won't be in attendance, veteran rock trio Rush is in the running for the band's first-ever Grammy. Their film Rush: Beyond the Lighted Stage is a nominee for best long-form music video. Measha Brueggergosman is among the Canadians nominated for Sunday's Grammy Awards. ((Jeff McIntosh/Canadian Press))Other Canadians in the running for Grammy hardware include Toronto R&B singer Melanie Fiona, who is nominated for a second year in a row. This time, the 27-year-old singer is a finalist in the best rap/song collaboration category for Wake Up! Everybody, which she performs with John Legend, the Roots and Common. Fiona was a best female R&B vocal performance nominee in 2010, though she ended up losing to Beyoncé. "You're nervous, you're happy, you're excited, you're worried … I'm better for it," Fiona said, describing the first-time jitters she felt at the 2010 gala. Another Toronto-based singer, Measha Brueggergosman, could receive Grammy accolades. The noted Canadian soprano is a best classical vocal performance nominee for Wagner: Wesendonck-Lieder, an album of the German composer's music recorded with Franz Welser-Most and the Cleveland Orchestra. In addition to Arcade Fire, fellow Montrealer and cellist Matt Haimovitz, who teaches at McGill University, is a finalist for best classical crossover album (for his all cello band Uccello's release Meeting of the Spirits). Latin pop album: Alex Cuba, Alex Cuba. Native American music album: Temptations: Cree Round Dance Songs, Northern Cree. Instrumental soloist performance, without orchestra: Hamelin: Études, Marc-André Hamelin. Male pop vocal performance: Haven't Met You Yet, Michael Bublé. Spoken word album: A Funny Thing Happened On the Way To The Future, Michael J. Fox. Rapper Eminem is the overall nomination leader heading into Sunday's Grammy celebrations. He earned a whopping 10 nominations, including for album of the year and rap album of the year for his latest release Recovery. His Rihanna collaboration Love the Way You Lie compete for the coveted song and record of the year honours. Breakout star Bruno Mars landed seven nominations, quickly followed by Lady Antebellum, Jay-Z and Lady Gaga, who each earned six. B.o.B and John Legend have five nominations each. Organizers will begin handing out awards for the 109 Grammy categories Sunday afternoon at a non-televised ceremony in Los Angeles. The 53rd annual Grammy Awards broadcast airs live from Los Angeles Sunday evening. The performance-heavy show will see all five album of the year contenders and the five new artist finalists take the stage. The evening's musical lineup will also include a host of eclectic performances, including Bob Dylan with Mumford & Sons and the Avett Brothers, Dr. Dre with Eminem, Lady Gaga, Justin Bieber with Usher and Jaden Smith, Cee Lo Green with Gwyneth Paltrow and the Muppets, and Mick Jagger with Raphael Saadiq. The gala will also include tributes to the 2011 recipients of Grammy Awards for lifetime achievement, including Dolly Parton, the Ramones, Julie Andrews and Canadian gospel singer George Beverly Shea.